86% of 6 reviewers would recommend this game. Dosto inn logo ki baton me mt aana sachi baat krta hon ye game simple si lagti he pr ander se bari intresting he. Aur pleeez yar galian mt likha kro agr achi baat nai likh saktey to comment likha he na kro. 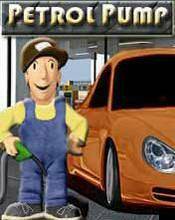 Download Petrol Pump (128x160) Nokia game for mobiles - one of the best Java games! At PHONEKY Free Java Games Market, you can download mobile games for any phone absolutely free of charge. Nice graphics and addictive gameplay will keep you entertained for a very long time. At PHONEKY, you will find many other games and apps of different genres, from adventure and action to the logic and racing Java jar games. To see the Top 10 best Java games for mobiles, just sort games by popularity.